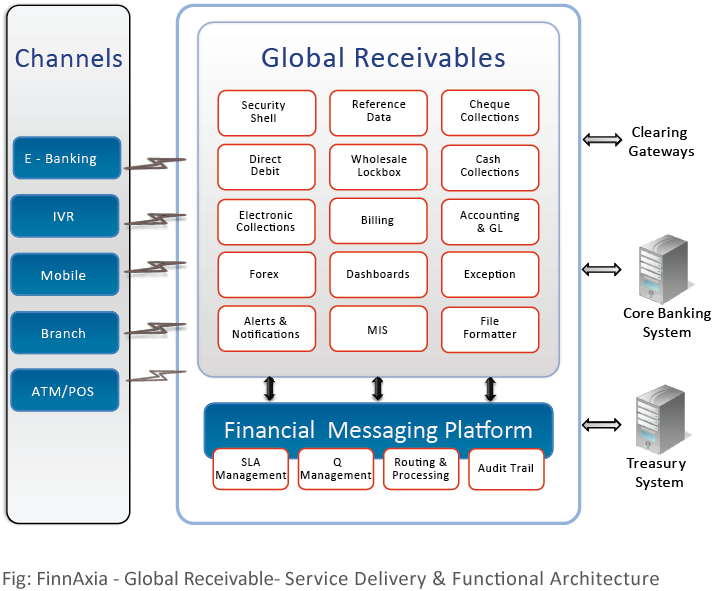 FinnAxia Global Receivables Management provides a comprehensive set of features geared to manage bank’s corporate customers’ receivables needs. Global Receivables solution facilitates banks in defining flexible collection products based on corporate banking operating model, thereby, ensuring optimum fund consolidation viz; Cheques, Cash, I-ARMS, Invoices Matching, E-Receipts, Virtual Accounts and Direct Debits (Physical & Electronic). The solution is based on Java J2EE with web services to connect to multiple host systems for a seamless and integrated view. 360 degree account position view; balance consolidation. Configurable Transaction download – can be used as clearing download, feed to ERP etc. Nucleus Software has been our technology partner since a long time and we have been using their flagship product ever since. FinnOne™ has helped the Bank over deliver its promises and thus ensure customer delight. We are proud of our association with Nucleus Software and look forward to a further strengthened future.